Antique reproduction dolls page 2..
Barbie, Ken Friends Dolls Cool Blue, Teresea,Swap Tempco Cards, Skipper page 2. Cars vehicles childrens- Hot Wheels, Corgi, Matchboxetc. Collectibles -Pottery, porcelain bric a brac, wall stickers - Holly Hobby, Peter Rabbit,Boyds Bears etc. Crissy Ideal dolls - Velvet etc no box..
Doll Pretend Play bedding sets - pillow, mattress, quilt, sheet etc. My Little Pony - books, soft toys etc. Pedigree Brighton Belle doll 28"
Pedigree Hard Plastic Dolls 22", 22"bent knee, 16",14"
Toys childrens pretend play -assorted- telephone etc. Dollysisters Down Memory Lane is based in Melbourne, Australia. 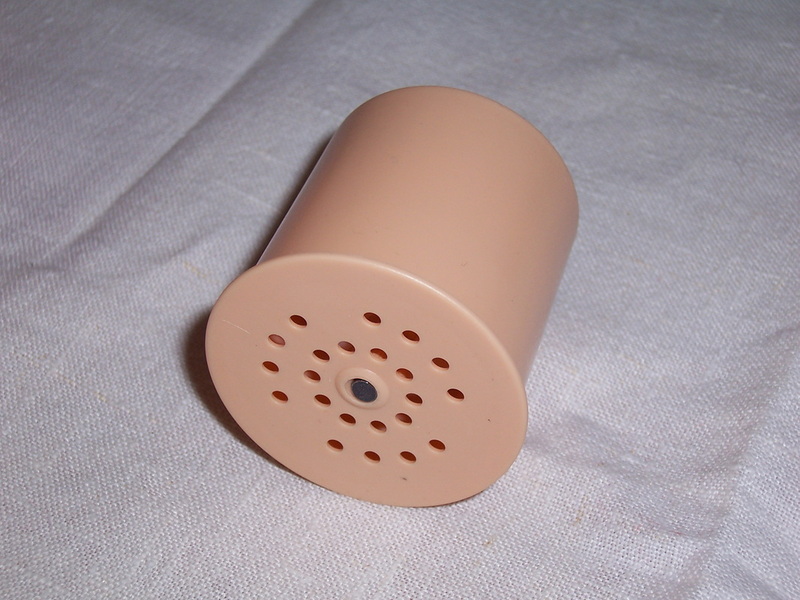 new mama (voice) box for your dolls - double voices from Germany. These Mama boxes are replicas of the original ones which fit into the Pedigree dolls and the Kader dolls. The original mama boxes rubber flanges perish over the period of time, and they become silent and stop "crying" . If you actually come across a doll which works, it will probably be a replaced mama box, not the original one. These voice boxes are of a very basic design, and emit a sound which is very close to the original sound of the Pedigree mama voice box. They will fit all the Pedigree dolls which have the removable covers on their back. 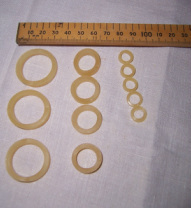 We have for sale a packet of 12 rubber bands of different sizes for your dolls which may need some repair. We have found them particularly helpful with replacing broken elastic bands for the arms of a hard plastic dolls and even for reattaching the head. We have placed a ruler (for display purposes only) above the rubber bands so that you can gauge the sizes. They could be used for many different type of repair jobs. have not received my reply? computer junk mail as my reply may be there. i would like to emphasize that MOST OF my items will have signs of wear and age. This is the nature of vintage and antique pieces. if you want something brand new and absolutely perfect then most of my items will not suit you. You are not allowed to use someone else's image (photo) or text description without authorization for your own purposes as it violates the copyright laws. If you want to use any of my photos or any of my descriptions that has been created by myself then you MUST receive my permission to do so.